When Patrick McHale and Jim Campbell team up, good things happen. KaBOOM! 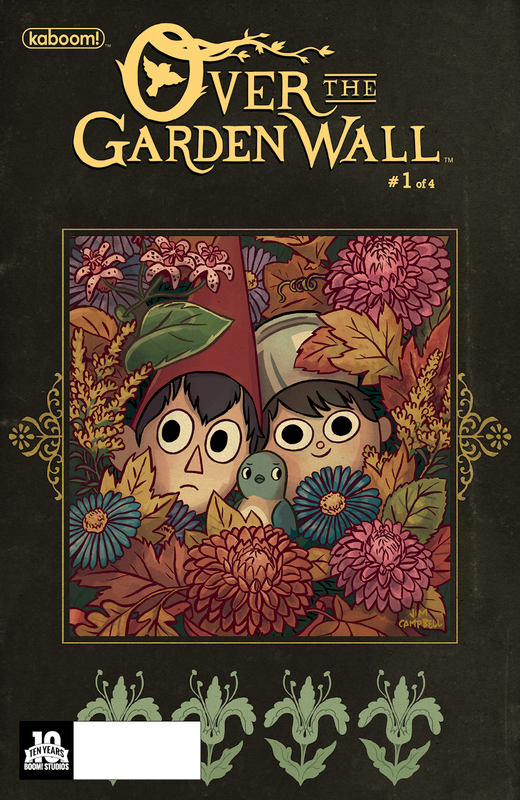 knows that as well and they're teaming the two up together again for Over the Garden Wall, a new, four-issue limited comic series. 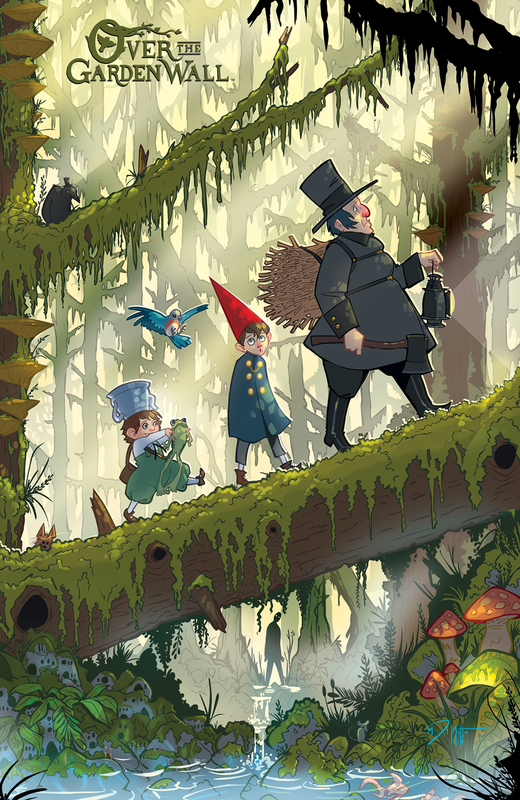 Last November, Cartoon Network debuted McHale’s eerily sweet Over the Garden Wall, its first original animated miniseries, about half-brothers Wirt and Greg trying to find their way home. KaBOOM! published a companion one-shot that was eagerly snapped up by fans, selling out immediately. It’s a new Over the Garden Wall story set between episodes 3 and 4 of the animated series. Wirt and Greg are trying to hitch a ride out of schooltown but end up having to walk. Soon, they come upon two girls playing, and wind up having to keep them entertained so that they don’t wake their giant father. Headlined by an all-star voice-cast that includes Elijah Wood, Collin Dean and Melanie Lynskey, Over the Garden Wall is Cartoon Network’s first-ever miniseries, an animated comedy/fantasy story about two brothers, Wirt and Greg, who are trapped in a mysterious world. In this 10-part production, music plays an important role with a soundtrack full of Americana-influenced original songs. A DVD collecting all of the episodes will be released on September 8. Over the Garden Wall is created by Patrick McHale and produced by Cartoon Network Studios. 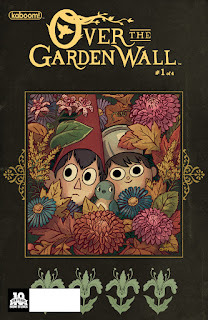 Over the Garden Wall #1 (of 4) arrives in comic shops on August 26th with a main cover by Campbell for the price of $3.99 under Diamond order code JUN151090. 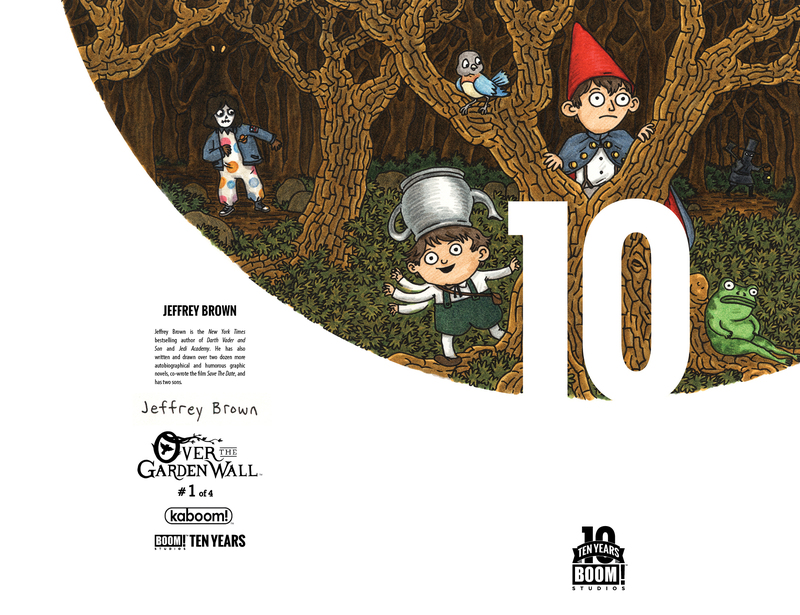 Also available in a limited quantity is a subscription variant by Adventure Time storyboard artist Steve Wolfhard, a 10 Years incentive cover by Jeffrey Brown and a retailer incentive cover by creator Patrick McHale. The Final Order Cutoff deadline for retailers is August 3rd. July 31, 2015 (Los Angeles, Calif.) - KaBOOM!, an award-winning imprint of BOOM! 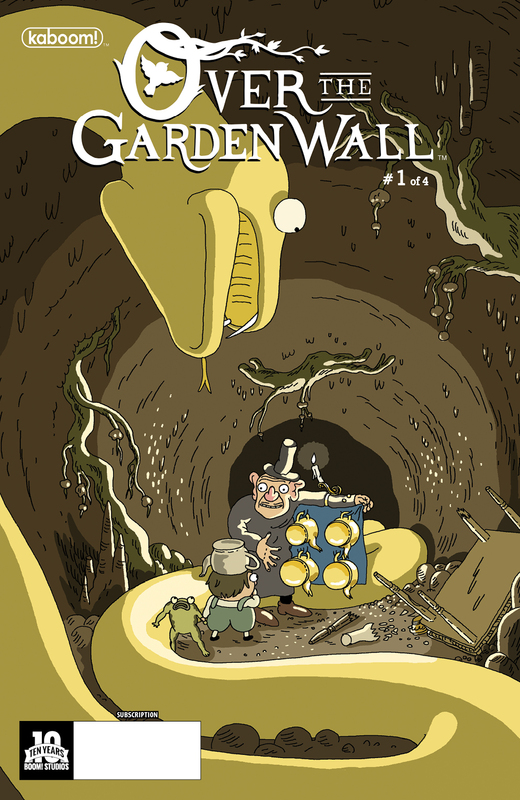 Studios, and Cartoon Network Enterprises, the licensing and merchandising arm of the network, are pleased to announce that Patrick McHale and Jim Campbell have teamed up once again for a new, four-issue Over the Garden Wall limited comic series. Last November, Cartoon Network debuted McHale’s eerily sweet Over the Garden Wall, its first original animated miniseries, about half-brothers Wirt and Greg trying to find their way home. KaBOOM! published a companion one-shot that was eagerly snapped up by fans, selling out immediately. It’s a new Over the Garden Wall story set between episodes 3 and 4 of the animated series. Wirt and Greg are trying to hitch a ride out of schooltown but end up having to walk. Soon, they come upon two girls playing, and wind up having to keep them entertained so that they don’t wake their giant father! Headlined by an all-star voice-cast that includes Elijah Wood (Lord of the Rings Trilogy), Collin Dean (The War at Home), and Melanie Lynskey (Two and a Half Men), Over the Garden Wall is Cartoon Network’s first-ever miniseries, an animated comedy/fantasy story about two brothers, Wirt and Greg, who are trapped in a mysterious world. In this 10-part production, music plays an important role with a soundtrack full of Americana-influenced original songs. A DVD collecting all of the episodes will be released on September 8. Over the Garden Wall is created by Patrick McHale and produced by Cartoon Network Studios.